An emoji-liked rating view for iOS, implemented in Swift3. Can be used in Interface Builder. 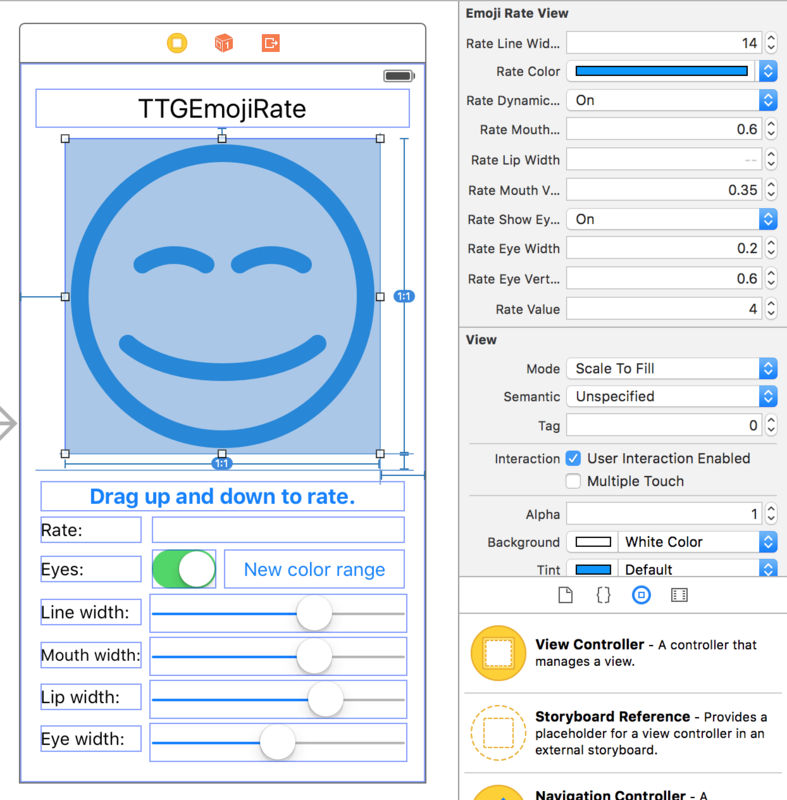 TTGEmojiRate is an emoji-liked rating view for iOS which is implemented in Swift. You can drop up and down on the Emoji face to change the rate, which is more interactive. TTGEmojiRate is also highly customizable that many features of it can be configure, like the emoji line width and the mouth width. Create an instance of EmojiRateView and add it to the parent view. rateValueChangeCallback: ((newRateValue: Float) -> Void)? defines the callback closure when rateValue changes. When rateValue changes from 0 to 5, the rateColor will change from the from: UIColor to to: UIColor. rateDragSensitivity: CGFloat defines the sensitivity when drag to change rateValue. A simple rating view for iOS written in Swift.